When your lawn snaps out of it dormancy, it will be quick to start growing and will need of some tender loving care. If you fertilized your lawn properly in the fall, then it will start growing as soon as the temperature hits around 65 degrees in the spring. Aside from getting a good soaking from spring rains, you lawn needs a little more fertilizers and a good first spring lawn mowing. Lawn mowing is not exactly a science and it is not exactly an art form. So what is it? Mowing the lawn in spring isn’t just about waiting until a specific length or time frame. It does requires monitoring the length of grass and waiting for it to reach the right height. 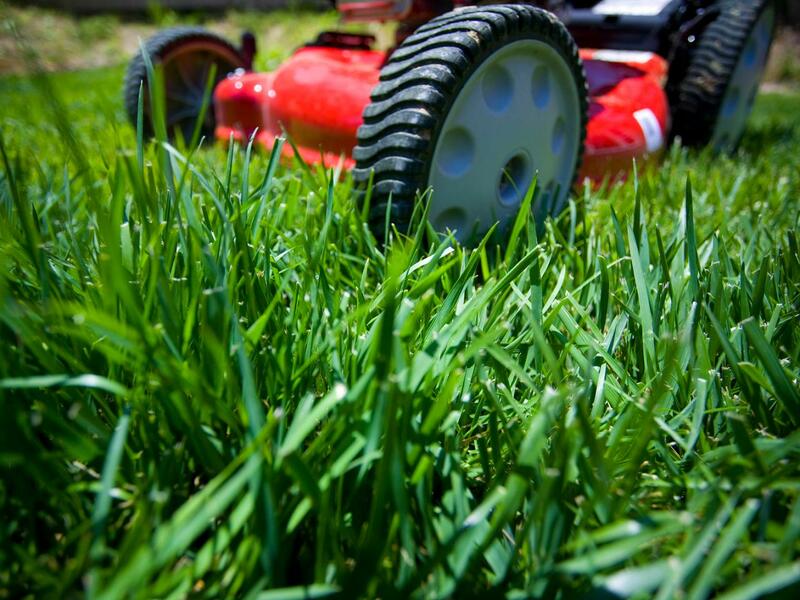 To avoid injuring grass by cutting when it’s too short, which can lead to lawn disease. Following these steps can help you mow your grass at the appropriate time. What time of the year to start mowing? Starting in spring around March to start your lawn mowing with a high cut on preferably dry grass if possible. When to Mow your Lawn? When your grass blades reaches a height of 3 to 3.5 inches. As temperature and growth increases frequency will increase with 2 weeks then 10 days then perhaps down to weekly mowing. To maintain a lush, green and healthy lawn takes a little bit of work. Keeping your lawn irrigated and fed is always a priority, but some times you have to sew in additional seed and remove weeds. Following up with a fertilization schedule will keep you lawn thriving in extreme heat and severe cold. 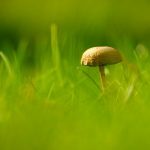 Hopefully this tips will help you with your lawns green growth. 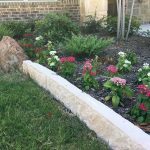 Lawn care is not rocket science and these 5 easy ways to save on lawn care will keep your lawn looking fabulous year round. Aside from mowing your lawn more often with a little taller blade because the longer blades will absorb more sunlight to sustain proper photosynthesis. Photosynthesis is the process plants use to gain nutrient and sustain life. Healthy lawns needs about 1 inch of water per week in the growing season. A light daily watering will not promote a deep root system. To establish deep roots, water thoroughly once a week, using a 1-inch deep. 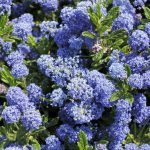 Early in the morning is ideal, say before 8 a.m., when evaporation is low and water is absorbed into the soil. Don’t be afraid to let grass turn brown during dry spells. Most species can easily go a month without water. When the grass goes from tan-brown to straw-colored, hence the grass needs to be watered.. 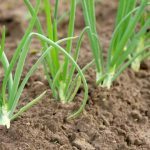 This will improve your soil and eliminate pests and diseases, which means less money spent on fertilizer and water. 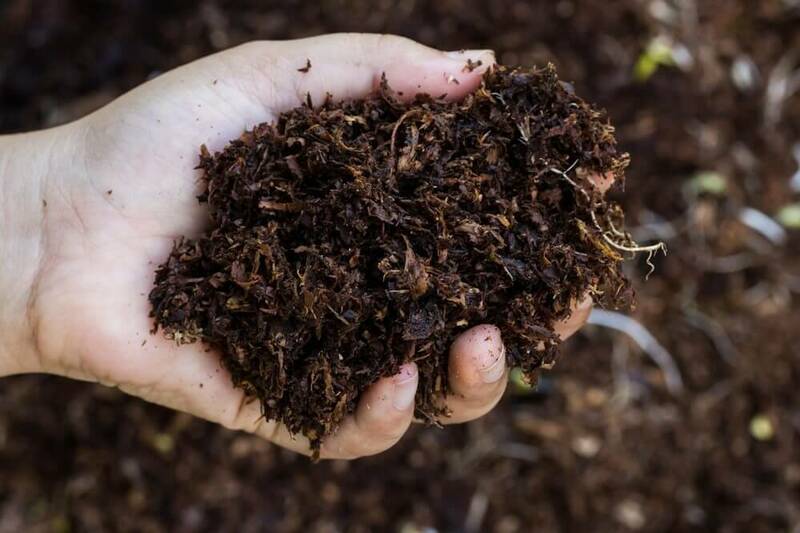 Apply a quarter-inch of top-dressing compost once or twice a year, including right after your lawn has greened up. 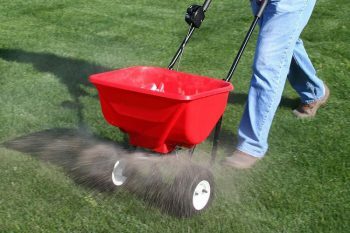 Going over the lawn with an aerator first will help mix the organic matter into the soil. 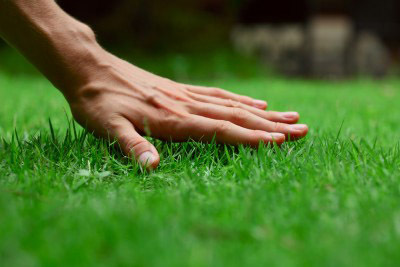 Your grass clippings are a free source of slow-release fertilizer, so let the mower discharge the clippings back onto your grass rather than bagging them. This can cut fertilizer costs by up to 30 percent. The only time to bag clippings is when your lawn is having a disease breakout, often signaled by irregular brown patches or rings in the lawn. Slow-growth, drought-resistant grass species save water, fertilizer, and time. Your local cooperative extension can help you find species that are right for your climate, soil, and lifestyle. Tall fescue is a low-maintenance alternative in the Northeast that can withstand heavy foot traffic, good for homes with active kids. Zoysia and seashore paspalum are easygoing newcomers in the South, while buffalo grass is popular west of the Mississippi. Sharp blades cut cleaner and faster, and along with basic engine maintenance can reduce fuel costs by up to 25 percent. Dull blades also stress grass, making it more susceptible to disease. For best results, sharpen and balance the blade three times during the growing season. These basic tips should not take too much effort and your lawn with look green and stay healthy. Even the healthiest lawn gets hungry and needs a solid meal. 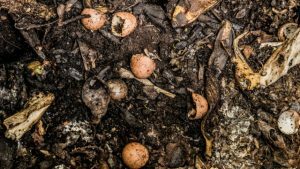 Twice a year, spring and fall, is the bare minimum most experts recommend for fertilization, though some add a feeding in the middle of the summer. 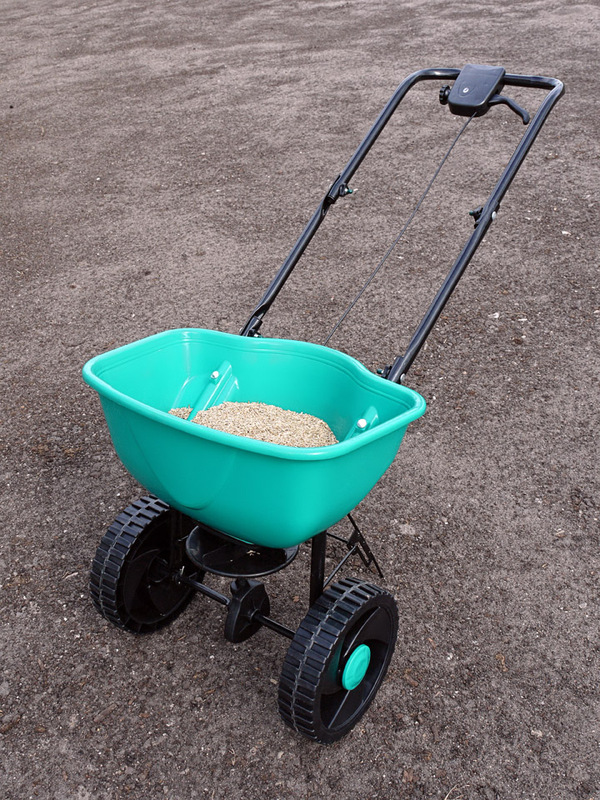 But beware the common N-P-K (nitrogen-phosphate-potassium) fertilizers popular with most gardeners, says Gary; they don’t provide everything your hungry grass needs. Instead, he recommends a complete fertilizer that includes micronutrients such as sulfur, copper and iron. “Just like you take a multivitamin, your grass needs one too,” says Gary. In addition to regular fertilizing, he recommends an application of dolomitic lime every few years. This is because watering and fertilizing cause soil to become acidic over time and lime restores the pH while putting important minerals like calcium and magnesium back into the soil. In some Western areas, soils are naturally alkaline and may not have this problem, so it’s best to test your soil’s pH first. No doubt about it, crabgrass is the bane of every lawn gardener’s existence. But that doesn’t mean herbicides are essential to a healthy lawn; in fact, many experts avoid them. The true secret to banishing weeds, they say, is to grow such healthy grass that it chokes out the invaders naturally. 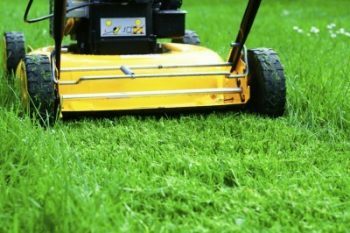 Mowing regularly helps too, because it tops off weeds like dandelions and crabgrass before they have a chance to scatter their seeds. When you do find yourself compelled to do battle against a path of weeds, Paul recommends using one of the new “natural” herbicides that derive their potency from corn gluten, salts from fatty acids or other non chemical sources. When grass gets too compacted, nutrients can’t penetrate to the root system where they’re most needed. That’s where aeration — poking holes in your lawn to improve oxygen circulation — comes in. Most people aerate with a simple tool that looks like two hollow tubes attached to the end of a long handle. Of course, you can also just waltz around your lawn in spiked sports shoes — that works fairly well too. So what is the best process for going about finding and vetting the best pro to work with. Starting with a Google search can be overwhelming, as you will get back many many options, and how do you know which ones are good, or even the companies that will want your business. If you are in need of basic lawn mowing, odds are the companies that pop up on a the first couple pages of a Google search will be larger companies more focuses on commercial projects, and they will not be interested in your basic lawn care.